This firmware is only for Xiaomi Mi A1 Smartphone with Qualcomm Snapdragon 625 as CPU. 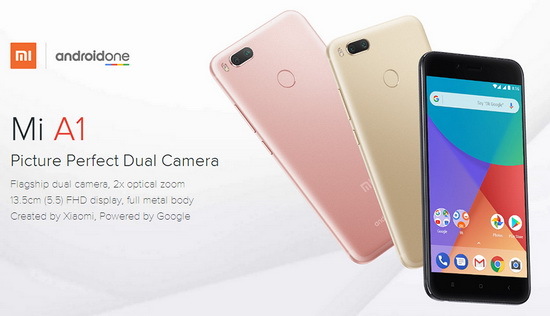 Download Android One Firmware for Xiaomi Mi A1 Smartphone from here, here or here. Step 1. Download the Mi Flash Tool. Step 3. Turn off the device. Press the Volume– key and the Power button at the same time to enter Fastboot mode. Then connect the device to the Windows PC/laptop via a USB Type-C cable. Step 4. Decompress the downloaded ROM file and open the file folder for the decompressed ROM pack, then copy its path on the computer. Step 5. Decompress the Mi Flash Tool downloaded in Step 1, and double click on it to install (if there is security warning, select ‘Run’). After installation is completed, open MiFlash.exe and paste into the address bar the ROM file folder path copied in the last step. Click on the first button (circled out in yellow) to Refresh, and MiFlash should automatically recognize the device. Then click the second button (circled out in red) to flash the ROM file to the device. Step 6. Wait until the progress bar inside MiFlash turns fully green, which means the ROM has been successfully installed. Then your device should automatically boot to the new version. Please wait patiently until the flashing process fully completed.